Share the post "And It Is Over! #OpenUniversity"
It’s all over. My Open University degree is now complete. I have submitted my final assignments, End Of Module Assessments for both of the modules I have been doing this year. I have submitted them a little early, as we’ll be away when the deadline rolls round, so I needed to ensure I had got these in – there are no extensions on these! It doesn’t feel quite real yet. I’ve yet to switch off from it all, the EMAs still swimming about in my head. I keep waiting for that euphoric feeling to hit, or even a wave of relief, but nothing so far. If anything, I am a little sad that the journey has ended, which I didn’t expect. I am sure happiness will kick in once it all sinks in! The past three years I have covered four modules, and I actually started this back in 1998, so I have my other two modules from back then. I don’t know how many of you remember reading about this when I was debating whether to pick this degree up again. I was worried I wouldn’t have the time for it, with my son at home with me when I recommenced. It seems that I did have time, well, you make the time for something like this. At this point, with everything still fresh in my mind, I can choose a favourite module. 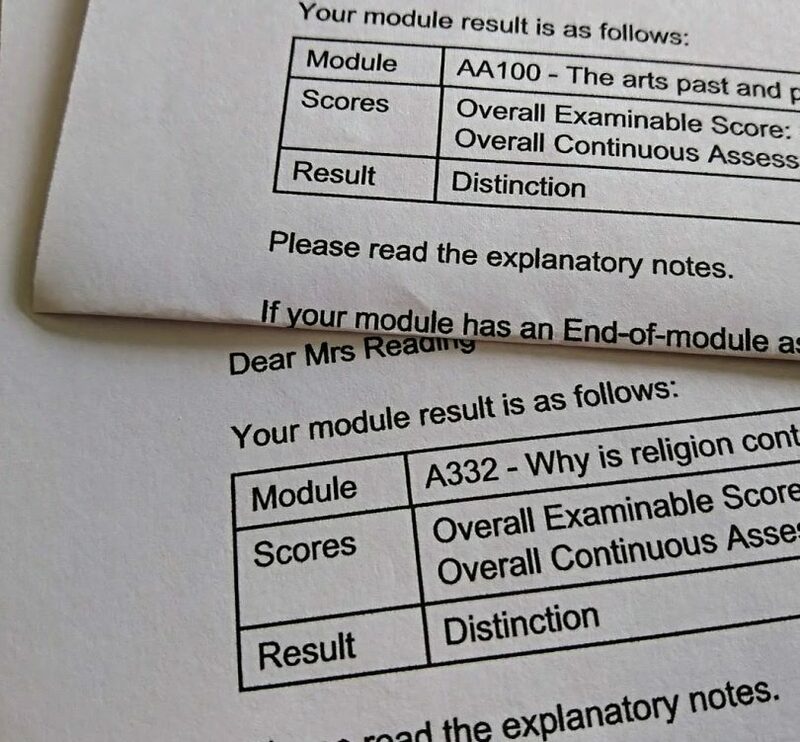 It’s actually the one that I have just completed, A332 – Why is Religion Controversial? 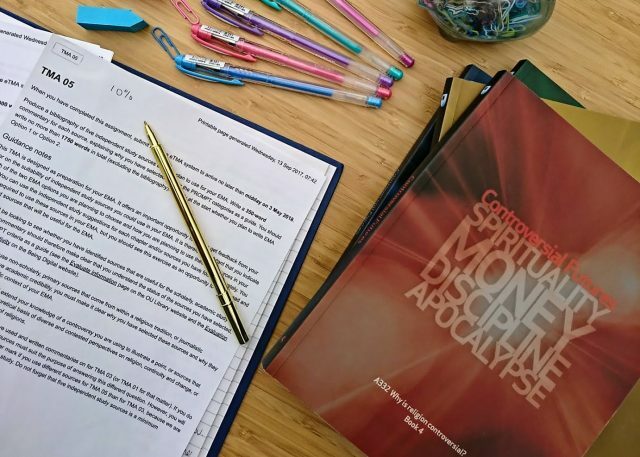 I enjoyed the module materials and I liked the design of this module as it encouraged and allowed time for plenty of independent reading and opportunities to further research the areas that appealed to me. And my least favourite? The Maths modules I did at the beginning. Maths, what was I thinking?! Ah well, I did at least pass them and I now have those included within my largely History and Religious Studies degree, so a little nod to my versatility there, yes? 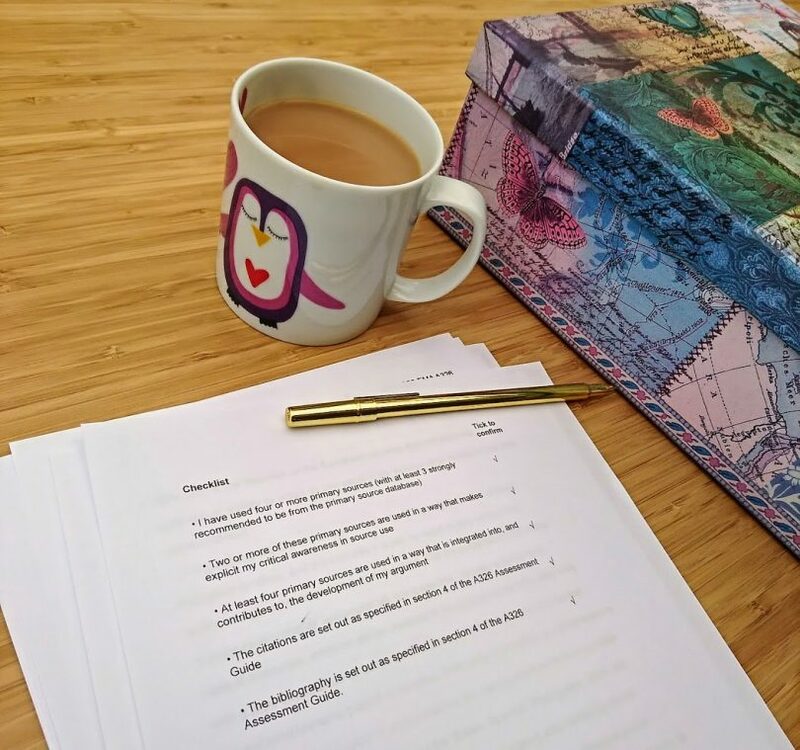 I can’t go as far as saying that I have a degree yet, and I am not celebrating quite this soon – there is the small matter of having to actually pass these EMAs and receive my results. They should come through in July. I’ll put those thoughts aside for now, but I know that from the end of June I will be nervously lurking my inbox and I will no doubt feel a bit sick when they do eventually come through. Scared to look, scared to know what all of these hours have actually added up to. I am sure I will update you when that day does come. In the meantime, I will enjoy a little free time. We’re off on holiday soon and then I have mine and the Husband’s birthday to look forward to on our return. I am hoping for some sort of summer so that I can enjoy gardening and I plan to then increase my hours spent here. I have study-free plans, I must get my head around it all! 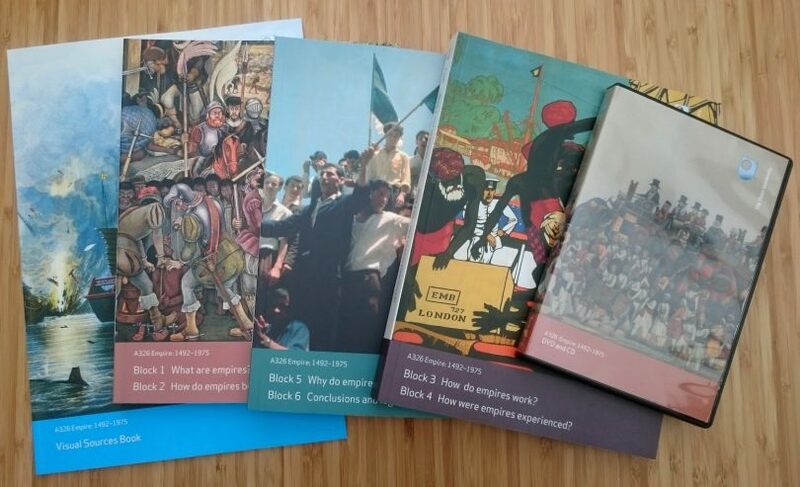 But I think even with these things going on, I will really notice a gaping hole in my schedule and I know that I will miss getting that exciting delivery of books over the summer ready for my next module. I will need to order a whole load of other books, that should keep me busy and very happy! It’s been a fun journey, thanks Open University. You can read more about my Open University journey here. I know just how you feel, I graduated in 2000 after six years of study. I loved every moment, not having been able to go to uni after I left school. Enjoy your success, be proud of how hard you have worked, and feel good about yourself for getting there. Can’t wait to hear your final results. Thanks so much, lovely to hear your experiences, too.